CDK Technologies has been building autoclave-cured wing masts for multihulls and monohulls for what is soon to be 20 years. Subcontracting its carbon tubes to French partners through until 2013, CDK Technologies opted to purchase its own autoclave, the scale of which is unrivalled in Europe (50x1.8m), enabling it to manufacture its masts entirely in-house. The integration of this high capacity autoclave resulted in its first victory in the Route du Rhum 2014 in the hands of François Gabart on Macif 60. 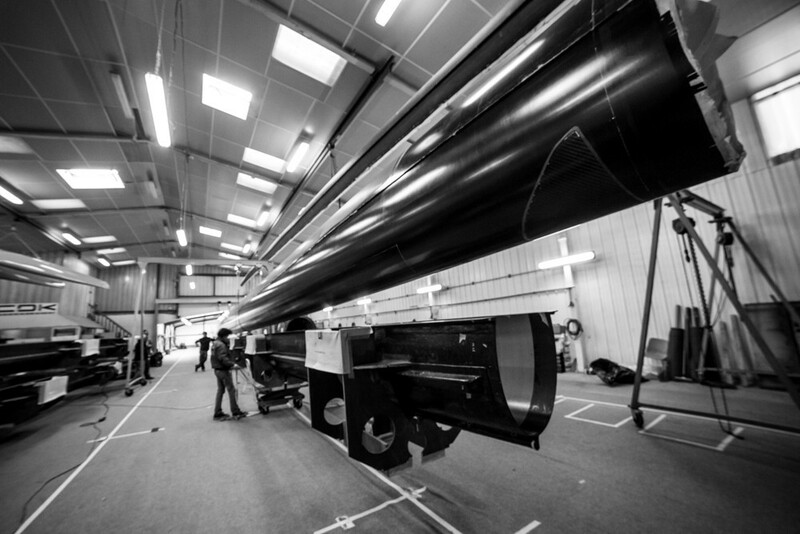 This first successful stage was followed by the delivery of a 42-metre sandwich mast for the Maxi trimaran Spindrift in 2015. In this way, CDK Technologies has joined the very hallowed circled of companies able to manufacture very large monolithic or carbon sandwich masts. Constantly striving for innovation, CDK Technologies continually optimises its build techniques so as to satisfy the increasingly high levels of performance required by its clients. photo © Eloi Stichelbaut / Spindrift racing.